1/23.- Welcome to Figueres !!! Welcome to Figueres. Figueres is a small city 100 km north of Barcelona. The city is famous for being the birthplace of Salvador Dalí. It is here that Dalí created his biggest surrealist work, the Teatre Museu Gala Salvador Dalí. 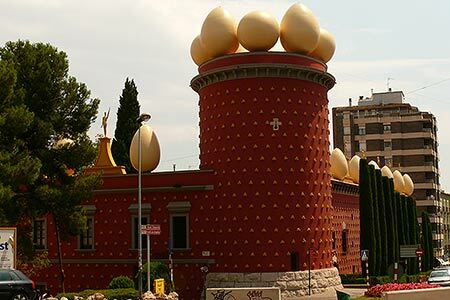 Figueres and Salvador Dalí's Museum are a great one-day-trip excursion from Barcelona, and the Costa Brava. If you come with me I will give you a sneak preview of Figueres and the Dalí Museum.